I know what you're all thinking: "Not another Benefit review!" But..whatever! Today i'm reviewing Benefit's 'They're Real! ', the newest Benefit mascara. I was hesitant to try this at first because i've been so used to using Benefit's BADgal mascara, and it's worked so well for me. But after my regular browse at my local Benefit counter, I decided to let the sales assistant put some on me! From then on, I was hooked. The statistics and photographs on the packaging are not normally found on Benefit products; it seems as though Benefit swear by this mascara so much that they must prove it at a customers first glance of the product. Another unique feature of this mascara is the wand. To be honest I always think to myself: "How many ways can you shape a mascara wand? Don't they all do the same thing?" But in this case, the specially designed brush has a circular end so you can pull the lashes up and seperate them vertically, which is something I have never seen before. 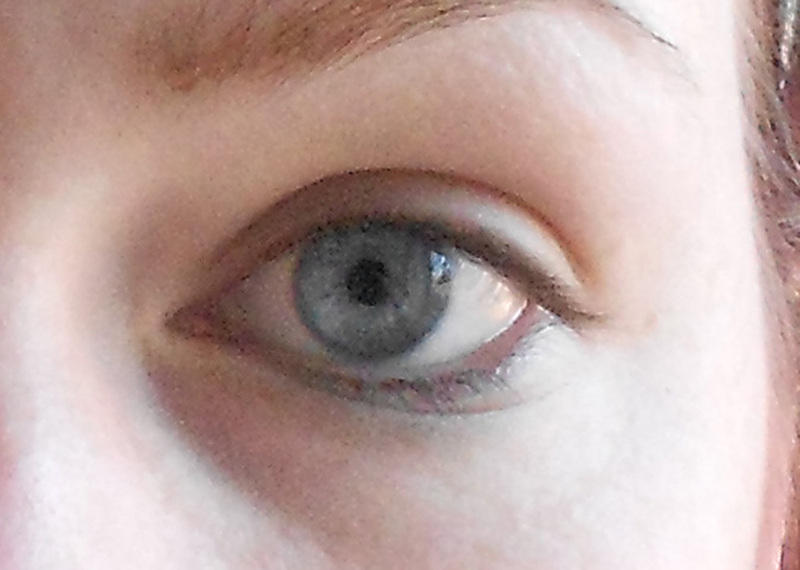 As you can see, my lashes are now jet-black, and double the length. By using the brush, I spread out the lashes evenly and it really enhanced the colour of my eyes. It's so easy to apply and is also smudge-proof, so I don't have to be worried every time I rub my eyes! Since I purchased this product, I have not worn another mascara. This can be worn both during the day and when going out at night. It's easy to layer, so I just add a few coats when I want my eyes to look fuller and even thicker. Only one application a day is needed - no top ups necessary, which means you'll get more for your money. Unfortunately it isn't waterproof and only comes in black, but I am optomistic that, like BADgal, other colours will be available. Benefit's 'They're Real!' mascara retails at £18.50 for a 8.5g tube.